Just got a mail from Amazon about this title coming out on September 13. It's now available for pre-order. 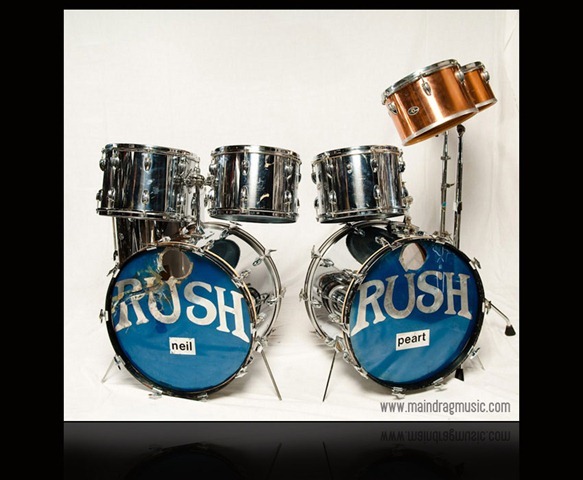 My understanding is these are "cover" versions of the Rush songs, not the actual Rush tracks. I'll review this when it comes out. Learn to play your favorite Rush songs with these terrific transcriptions and play-along tracks. The CD contains two version of each song: a complete version for demonstration and a play-along version without drums so you can play with the rhythm tracks. Plus the CD contains embedded software that allows you to slow down, loop and even transpose keys! Plus, there are matching guitar and bass editions available! The RUSH family congratulates Neil and his wife Carrie on the birth of their healthy, beautiful daughter Olivia Louise Peart. If you're interested in a hand-written letter from Alex Lifeson, which was written in 1977, here's an auction on eBay (ends on 8/25!). The person selling the letter is a friend of mine, so I can vouch for the authenticity of the letter. Twitter - Yes, I finally jumped on the Twitter bandwagon. If you want to receive notifications for Neil Peart News Updates via Twitter, go to Neil Peart News on Twitter and click Follow. If you're wondering what Twitter is all about, it's a social networking tool that allows you to send short "microblog" updates. I've found it's a unique way to read what's going on with things and people I'm interested in. While you're at it, you can also follow Rush (official), Rushisaband, and Power Windows on Twitter, too. Neil Peart setup - I added the DW kit that Neil used for his Master Class on Drum Channel. This is also updated in the history of his drumkits. Building the kit - I added some pictures of the Snakes & Arrows kit being set up, taken by John Arrowsmith. This page also includes pictures of Larry Allen setting up the Power Windows kit, and some screenshots of Neil's kit being assembled for the A Work in Progress instructional video. Upcoming Releases - I updated the dates for upcoming releases for Neil. Next up: Vertical Horizon's Burning the Days, which includes three tracks with Neil as guest drummer. 1970s photos - Added 5 new photos. 1980s/1990s photos - Added 15 new photos. Delicious bookmarks - When I find links to interviews or other bits that don't fit neatly into a "Neil Peart News Update," I add it to my Neil Peart bookmarks on Delicious. New postcard - Lamb Saag sent me a postcard from Neil a while ago, but I just posted this recently. Thanks, Lamb! Neil Peart was recently inducted into the American Motorcyclist Association. The September 2009 issue of American Motorcyclist, the official magazine of the association, includes a cover story on Neil with a great interview and photos. Ed, over at Rushisaband, has posted scans of the interview. 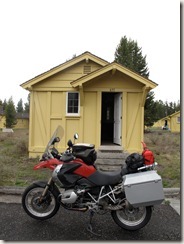 You can also read a digital copy on American Motorcyclist website. Update - 8/9/09 - The drum kit sold for US $25,100.00 with 53 bids. No, not me. I do know who and just got off the phone with him. Good news is that it won't be locked away in a basement. It won't be going to Toronto either. We were discussing ideas of where it can be displayed for all to see. Right now we are talking my personal favorite place is the Percussive Arts Society Museum in Indianapolis. This museum is also host to the International Drummers Hall of Fame. They have quite an impressive collection of drum kits including some used by Buddy Rich and Gene Krupa. How nice would it be to have this kit displayed alongside Buddy and Gene's? We are also discussing another venue to display it at for one week but that will be announced later after arrangements are made. Neil's first Slingerland kit, which was used in the recording of Fly by Night, Caress of Steel, 2112, and All the World's a Stage is currently on eBay. The auction ends on Aug 09, 2009 10:15:12 PDT and is being held by Main Drag Music. Go to the auction page here. There are a total of 11 drums and this set DOES NOT INCLUDE THE SNARE. The sizes are as follows: 6, 8, 10, 12" Concert Toms in Copper Wrap, (2)9x13, 10x14, 16x16, (2)14x22 and a 13" Timbale all in Chrome Wrap. There are tom holders on the bass drums; a Slingerland Set-O-Matic on the Stage Right drum and a Ludwig Rail-Consolette mount on the Stage Left drum. The heads, with the exception of the 10x14, are all-original and in the same tuning as the set was received. They consist of Evans Rocks on the toms (Mirror Glass batters, clear blue, like Hydraulics on resonant side), Ludwig Silver Dots on the concert toms, and Remo CS's on the Batter side of the bass drums. The bass drum resonant heads are one of the more interesting features of the set in that they have the original silver foil applique saying "RUSH" on each head as well as "Neil" on Stage Right and "Peart" on Stage Left. 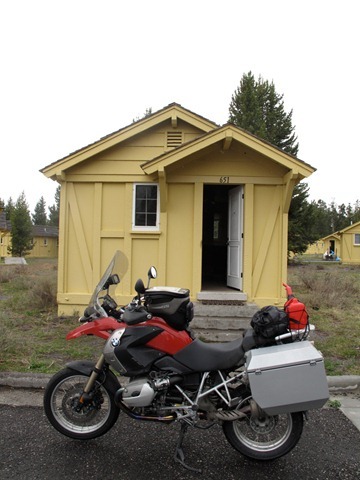 New NEP News Update: "A Little Yellow Cabin on Yellowstone Lake"
Neil has posted an update to his website called "A Little Yellow Cabin on Yellowstone Lake - August 2009." In this update, Neil writes about his last solo trip before "the Blessed Event--the birth of our baby in August. After that, I wouldn't be going anywhere for a while." Neil has so much to say in this update, there are actually two parts. One of the most interesting for me was the section where he breaks down the history behind the lyrics for "Manhattan Project." There are other interesting reflections on what's good about America, opinions on Ralph Nader and Jane Fonda, and new country song lyrics.